for Releasing Tension and Increasing Energy. The purpose of this blog is to share ideas, knowledge and experiences with enthusiastic explorers of life, who are already passionate about a health and personal transformation and want more from life. The practice of Qigong is one of the ways to feel and improve our life energy stream and become aware of the unified universe. Having abundance of energy enable us to be creative and really enjoy in life. The main topics of blogs are Qigong and reflections about this wonderful universe and our place in it. You are kindly invited to join us on this journey and co-create with your questions and suggestions. 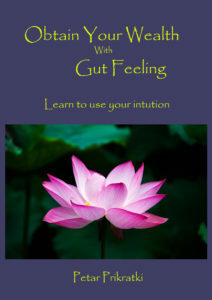 Qi is a Chinese expression for the universal energy which permeates universe and human beings. Gong is abbreviation for Gong Fu and means concentrated work, persistent effort and continual self-cultivation. So, the meaning of Qigong is long and continuous work with energy. Qigong can be defined as art, science and philosophy. By practicing Qigong we cultivate our body, mind and spirit and we can achieve high level of health and general well-being. The highest purpose of Qigong was to achieve spiritual awakening. Qigong is the foundation of Chinese martial arts, traditional Chinese medicine and stays also in the center of the Chinese philosophy and religion. Qigong is Chinese ancient discipline which was hidden for thousands of years and was preserved mainly as esoteric practice inside the walls of Daoist and Buddhist monasteries. Qigong was throughout most of the history unknown to the Western world and also to the greater part of Chinese population. Qigong unites movement, breathing and meditation, emphasizing natural posture and relaxation. Through the practice we strengthen our body and mental focus, we develop sensibility for the energy of our bodies and achieve a feeling of vitality and inner peace. Copyright © PetarSmiljana Qigong 2016. All rights reserved. Join us on a journey of exploring life through the art of Qigong. 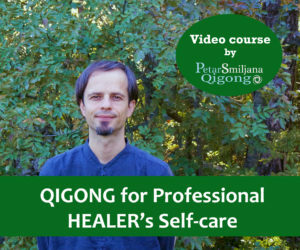 Subscribe now for free and get a FREE video mini-course 20 minutes SPINAL QIGONG for Releasing Tension and Increase Energy. We appreciate privacy. Your email address will not be sold or shared with anyone else.